JAD Tech, Inc. is a stocking electronics parts distributor. Established in 1998. JAD Tech, Inc. stocks and supplies IGBT, transistor, diode, electronic components, electromechanical and hardware/fastener parts. Military and commercial grade product. All active and passive components. Obsolete parts in stock as well as free world-wide sourcing capabilities. Parts for repairs and builds. IC’s, Integrated circuits / semiconductors / EPROM’s / memory / Hard-drives / capacitors / diodes / solenoids / power supplies / connectors / resistors / transistors / thyristors / crystals / heat sinks / potentiometers / LED’s/bulbs / relays / sensors / fuses / transformers / trim-pots / circuit breakers / switch / insulation / sleeving / tubing / backshells / flanges / all electronic and electrical products. -Hardware/ Fasteners -Mil-spec and commercial grade: "MS" , "NAS" , "AN , "AS", "BAC", "B1821", "Boeing #'s, McDonnell Douglas #'s, "Lockheed Martin #'s", "NSN #'s"
-Pneumatic, hydraulic, automation and connector products. -Tension, clutch and brake controls. We at JANS AERO are focussed on providing high quality service and customer satisfaction. Service to our customers is based on the old fashion values of Honesty, Curtesy, Hard Work and Promt Service. This is what makes for repeat business. We carry a variety of avionics, air frame, rotable and expendable parts for 737, 747, 757, 767 and A300, A320 in most all conditions. We now have an excusive consignment of J85 Engine parts and Bell 204, 205, 206, 212 & UH1 Parts. Our pledge to you is: If we don't have it, we'll find it. We look forward to providing your Aviation needs; Large or Small we will find it all. AOG's are always welcome, call Don at 520-481-2402. We specialise in sourcing a comprehensive range of electronic components from manufacturers worldwide. Customers benefit from our wide-ranging technical knowledge and extensive experience in product sourcing. Many of the items we supply are specially designed to meet individual requirements and/or are industry specific. Distributor of connectors, clamps, backshells, contacts & connector related accessories. We have over 84,500 line items in stock and over 25 years in the industry, based out of North Texas. Most orders ship same day. We buy and sell more heated windshields than anyone. We pay top dollar for heated windshields, any aircraft type. Call Jet Components to get a quote on any windshield requirements you may have. Our main business is buying and selling Heated windshields. We stock windshields and cabin windows for most regional and corporate aircraft. Jet components buys heated windshields and pays top dollar. We also provide repair service for heated windshields and cabin windows. We will ship anywhere in the world. We have been in the windshield business since 1994 and we have over 35 years experience in the aircraft busines. We are also parting out more PIPER CHIEFTAINS than anyone. If you have a windshield problem there is a good chance we can solve it for you. Jet Transport Actuators is an FAA Certified and EASA Approved Repair Station specializing in actuator, oxygen, fire and environmental component repair, overhaul, and exchange. Our capabilities and certifications are available at www.jetactuators.com. Our focused operations allow us to maintain the highest standard of quality, extremely quick turn around times, and very low prices - often saving our customers thousands of dollars. JJETAIR located in Doral, Florida, was created to provide airlines and aircraft maintenance organizations a selection of high-quality, traceable aftermarket parts at a reasonable cost with exemplary and fast efficient customer service. Since its inception, JJETAIR, has been a leader in providing high-quality services to airlines around the world. Today, it is highly regarded for its exceptional service and is recognized as an international leader in quality and performance. We specialize in Boeing 727, 737, 747, 757, 767, Airbus 300, 318, 319, 320, 321, 330, 340, 380, McDonnell Douglas DC9, DC10, MD11, MD80, MD90, ATR42, ATR72. DHC-6-300 Twin Otter, KC-135, C-130 HERCULES, FOKKER-27 AND 28, UH-1H HELICOPTER, S-70 AND S-76 HELICOPTER, MD HELICOPTER, SF-260, T-41 BAE146 CRJ 200 CESSNA AMONG OTHERS..
With over 40 years in the business, Jorge Luis Lavergne has become the number one in sales of equipments and aircraft parts, thanks to its continued participation and renewal in the market. We are a company dedicated to the purchase and sale of aircraft accessories, equipments, instruments, motors and parts in general. We have excellent business, national and international references, as the company is an exporter and importer of goods and ensures immediate solutions, opened by the availability and readiness to provide customer with any question, presenting budgets ready in 24 hours. Jotrin Electronics Supply of basic electronic components, Various types of integrated circuits, Various types of capacitors, Various types of Resistors,Various types of Sensors, other passive components type. 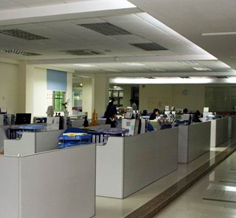 Jotrin Electronics Limited has offices in Hong Kong and Shenzhen, We are a professional agent of electronic components distributor with many years of industry experience. We passed ISO9001:2008 quality management system certification. We're selling all kinds of the active components such as integrated circuits,transient suppression diode (TVS tube), a full range of chip tantalum capacitors, and diodes, transistors etc with the famous brands such as XILINX, TI, ST, TOSHIBA, MOTOROLA , CYPRESS, VISHAY,AVX, AD, , NEC,NS, KEMET, ALTERA,EPCOS, ATMEL, IR, ON, AGILENT, LATTICE, SAMSUNG, HITACHI, NXP, INTERSIL, INFINEON, FAIRCHILD and other semiconductor components. Jotrin has established a good cooperative relationship with the manufacturers and world-famous brands from Europe & the US,Southeast Asia,Japan and South Korea, we have a stable supply chains,100% quality guarantee,competitive price, fast delivery and perfect after-sales service. The company is on the basis of equality and mutually beneficial business philosophy, a unique marketing strategies, pragmatic and enterprising spirit, we designed for medium and large enterprises to do perfect supporting services. At the same time , We attach great importance to partnership with their peers and cherish any opportunity for cooperation and sharing. Just Parts Unlimited is leading aviation and aerospace spare parts distributor in USA by providing high quality, cost efficient aircraft spare parts and aircraft materials. We are specialized in distribution of aircraft spares, aerospace components, NSN Parts, ship and marine equipment, and engines turbines and components for a variety of applications. We are available 24/7x365 service Superior quality with reliable service Aggressive Pricing to support any AOG. Provide 25000 Manufacturers database which can be easily used with 2 Billion Part Numbers. WE ARE REGISTERED SUPPLIER OF INDIAN NAVY AND HAL.WE SUPPLY SPARE PARTS AND TECHNICAL SUPPORT FOR WESTERN ORIGIN AIRCRAFT.